This charming cottage is ideal for a family vacation. The cottage is part of a waterfront community called Nauset Haven. Large pines nestle the shores of this 25-acre, freshwater pond. Fish, boat, and swim from either the dock or our sandy, private beach. Great cape location. Bay and ocean beaches within one to three miles. Cottage is situated less than 50 feet from pond and offers great water views from porch and living room. Other amenities on site include playground, basketball, horseshoes, volleyball and small gameroom and row boats. This was a great stay. Cottage had all we needed and great location near bike rentals, rail trail, national seashore visitor center and beaches. 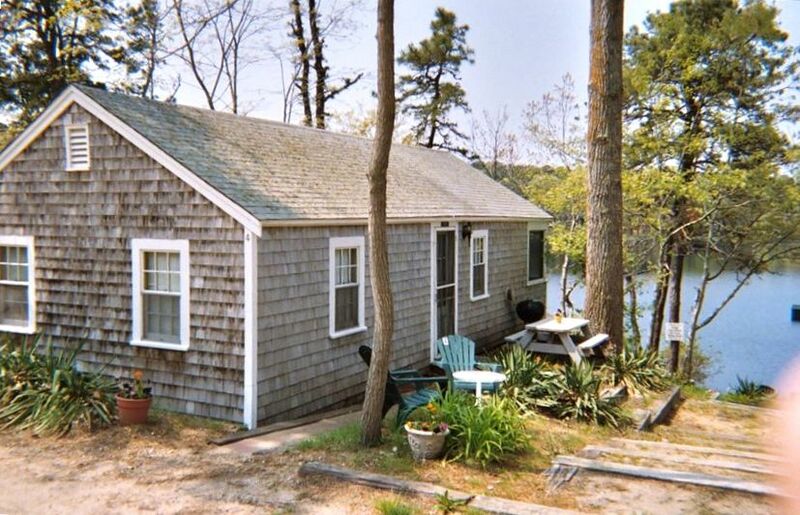 Great cottage right on the pond, close to lots of fun Cape Cod spots. Can walk to Arnolds ! Owner is very helpful and friendly, we love it. Nice place for the family, just minutes from the National sea shore and good fishing in the lake. Owner went way above to make rental a breeze. Exactly as advertised, logistics a breeze. Recommend.